A UNIQUE/ONE OF A KIND condo on the amenity level (6th flr). Loft style 1 bedroom which features 16 ft ceilings. Steps away from the spacious outdoor terrace w/a dog walk, fitness center, club room, outdoor grills, & firepit overlooking the midtown skyline. 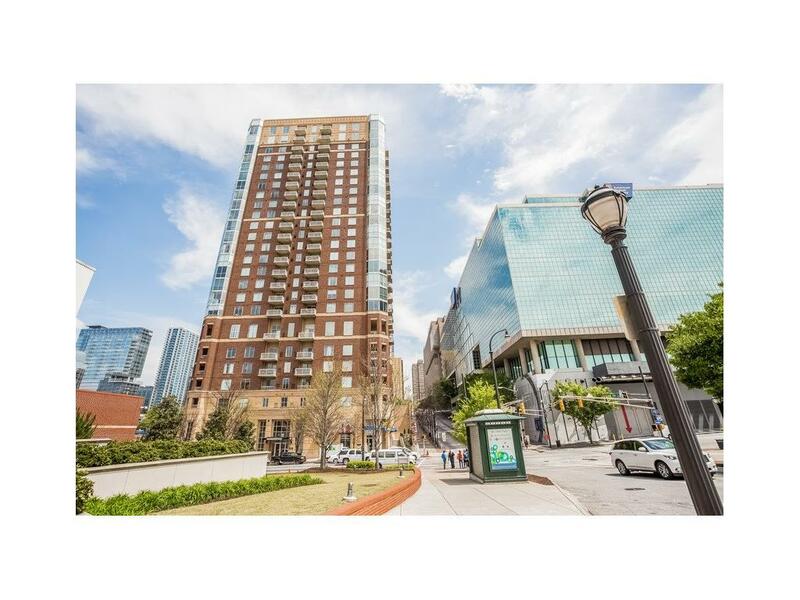 Museum Tower is the heart of downtown surrounded by Human Rights Museum, World of Coke, Georgia Aquarium, College Football Hall of Fame, new Mercedes Stadium and directly across from Centennial Olympic Park! A well managed building with all of the best amenities including a rooftop pool which has amazing 360* views. Directions: 75/85 South To Exit 249c, Park @ Either A-Loft Or American Cancer Society, Or Park In Front For Temp Parking.